While some men can get away with anything when it comes to shaving, some of us aren’t that lucky. Razor burn is that burning sensation that follows soon after completing a shave and is usually associated with redness and even swelling. While razor burn affects mostly men who shave frequently with a razor blade, it can still be an issue in the case of electric shaving. In this article we’ll see what we can do in order to reduce it to a minimum. One of the reasons men opt for an electric shaver is the comfort during and after the shave. The majority will see a clear improvement, but razor burn can still be present to a certain degree. If you have sensitive skin that is prone to irritation you are more likely to be affected. 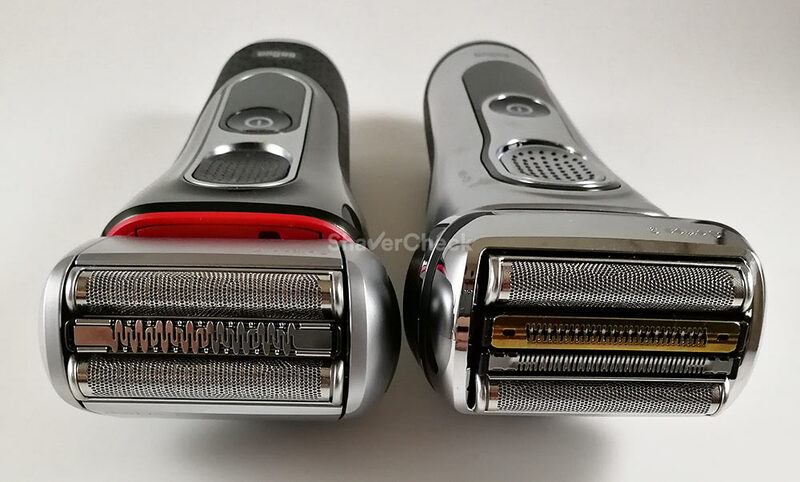 So why is razor burn still present with electric shavers? After all, we’re not dealing with a blade that comes in direct contact with the skin anymore. Let’s see what they are and how to address each of them. 1. Use a suitable electric shaver. 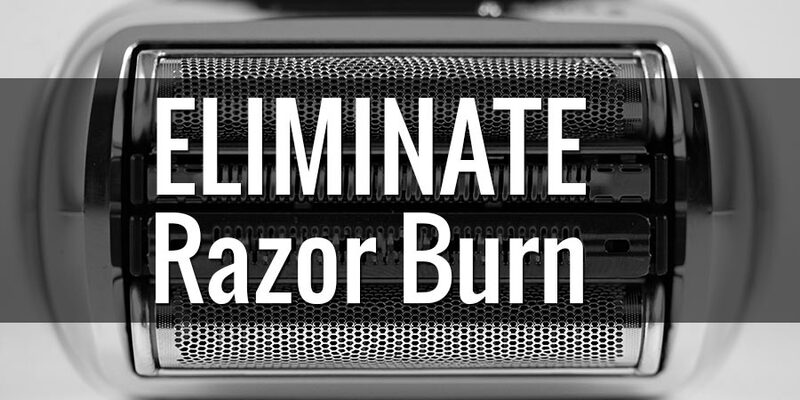 Even if you do everything right, you simply can’t make up for a shaver that’s plain bad if you want to eliminate or at least reduce razor burn. Braun Series 5 (left) and Series 9 (right) are two excellent choices for men with sensitive skin. An electric razor that is gentle to the skin and doesn’t get hot during use would be a good starting point. The Braun Series 9 is arguably one of the best electric shavers for this scenario. However, they are pretty expensive. 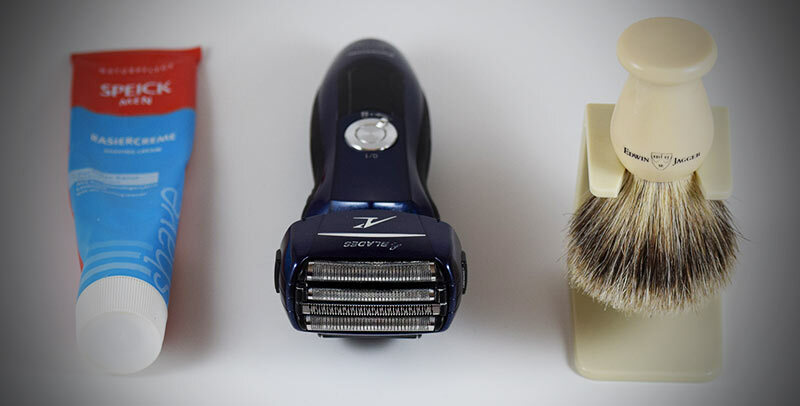 A more cost-effective, but still very capable razor would be the tried and tested Series 7. This was and still is to some degree the benchmark for shaving comfort. The latest iteration of Braun’s Series 5 line gets very close to the Series 7 performance-wise, but at an even lower price. Braun dominates the list of recommended shavers simply because they seem to be more forgiving and more comfortable out of the box compared to other manufacturers. 2. Replace dull blades and worn foils. Sharp blades and undamaged foils are vital for the comfort during and after the shave. With time the blades will become dull, the foils will wear out and even begin to warp. As a result, you’ll need to apply more pressure, use more strokes and basically end up with razor burn. If you’re beginning to notice any of these, it’s time to replace the blades and foils. Moreover, your shave will take longer and the shaving head can get increasingly hotter. And heat is definitely something you’ll want to avoid. 3. Lubricate the foils and blades. This will minimize the heat generated during use and will also prolong the life of the blades. If your electric shaver doesn’t come with an automatic cleaning station or you simply don’t use the station on a regular basis, you must lubricate the shaver yourself. Luckily, it’s an easy and inexpensive procedure. Here’s a complete guide on how to do it. 4. Thoroughly clean your razor after every use. Hairs, dead skin, dirt and debris build ups will affect the performance and bacteria will thrive. Some electric razors come with a cleaning & charging station that automatically cleans, sanitizes, lubricates and dries your shaver. If that’s not an option, always clean your razor thoroughly after each use according to the manufacturer’s instructions. Most modern electric razors can be safely rinsed under tap water for an effective cleaning. 5. Make sure the battery has enough juice. 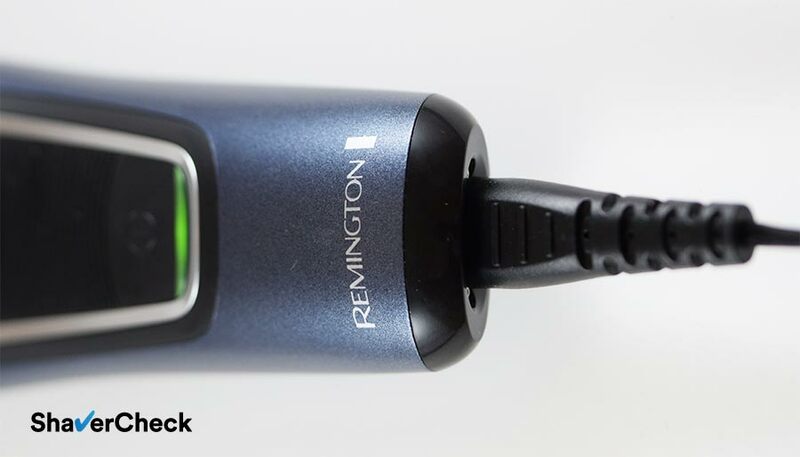 This is not only important to complete the shave, but some razors can’t maintain peak power when the battery is almost drained. This can cause pulling and force you to do unnecessary passes to get a clean shave, leading to discomfort and irritation. 6. Dry shaving only: keep your face and shaver as dry as possible. While washing your face and regularly exfoliating the skin are mandatory, avoid doing it right before a dry shave. Also, make sure your razor is perfectly dry as well for optimal performance and comfort. 7. Dry shaving only: use a pre-electric shave lotion. If you prefer to shave dry (and most men do), I highly recommend using a pre-shave lotion or powder. It will absorb all the moisture and skin oils while making the hairs stand up and adding an additional layer of lubrication for the razor to glide on. The result is an improvement in the closeness and comfort of the shave. 8. Wet shaving only: use a quality shaving cream. First of all, if you suffer from razor burn and haven’t tried wet shaving yet, you’re probably missing out on a great opportunity. 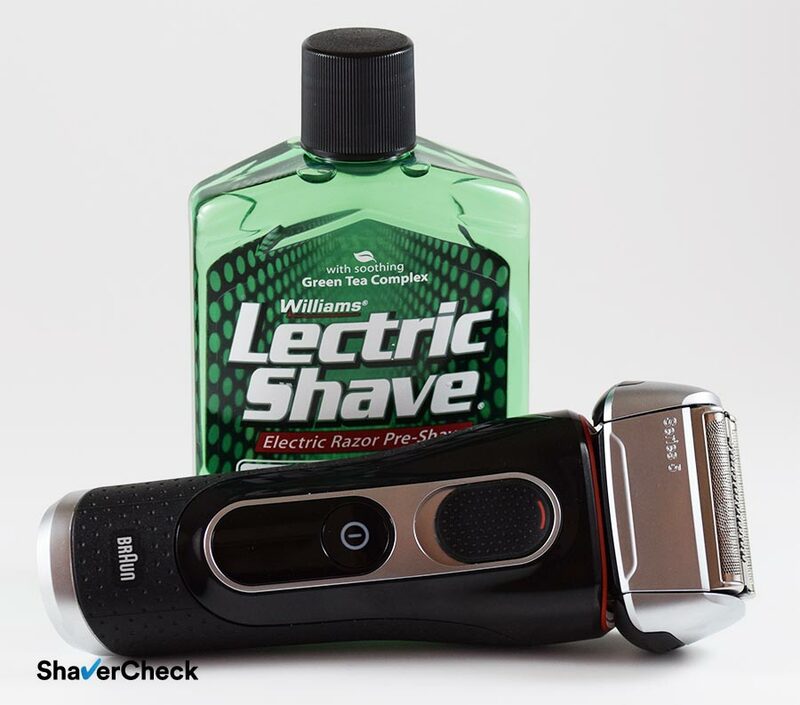 If your electric razor allows wet & dry operation, grab a good shaving cream and give it a try. It just might be your most comfortable shave yet. 9. Wet shaving only: use plenty of warm water. Wash your face with a mild cleanser and exfoliate the skin two times a week with a gentle scrub. Taking a hot shower before shaving is also recommended as the steam and hot water will open the pores, causing the hairs to stand straight. 10. Wet shaving only: use a thin layer of lather and give it time to act on the hairs. After applying the lather to your face, don’t start shaving right away. Instead, allow the shaving cream a few minutes to act on your beard. The outer layer of the hair is a very tough shell called the cuticle and can only be softened by the alkaline components of the shaving cream. Also, using too much shaving cream will have a negative impact on the results. In my experience a more watery consistency of the lather works best and won’t clog the razor. 11. Don’t press too hard. This is probably the main cause of razor burn when using an electric shaver. Many men just assume that it’s safe to apply more pressure simply because there’s no blade directly touching the skin. That’s a wrong assumption. If you constantly have to press harder or do additional strokes then it’s time to change the blades or buy a better razor. 12. Start off with the most sensitive area. For the majority of men, this would be the neck. The advantages of doing so are multiple: a cool shaving head, more battery charge, more patience and thoroughness from your part. 13. Keep the number of passes to a minimum. While not to the extent of a razor blade, an electric razor can still scrape off tiny bits of skin cells, especially if you press too hard. Thus, going over the same area multiple times can lead to razor burn. 14. Shave against the grain. While it may sound counter-intuitive as the recommendation for traditional shaving is to always go with the grain in order to avoid razor burn, electric shavers simply don’t work that way. In order for the hairs to be effectively captured by the foils, the direction of the stroke should be against the grain. In the case of rotary razors, the overlapping circular movements will ensure an efficient shave. It’s a good idea to try both clockwise and counterclockwise strokes depending on the direction of the grains. For a complete guide on shaving technique, check out this post. 15. Allow your skin to heal between shaving sessions. If razor burn is still present to some degree, you may want to wait a bit more before shaving again. 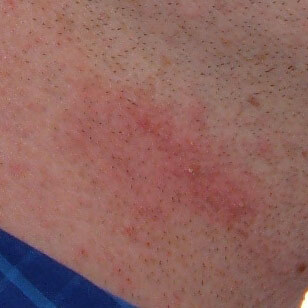 Going over a rash, even with a gentle electric razor, will only make things worse. Shaving every two days should be a good compromise as the length of the hairs will still be manageable for a capable razor. 16. Wash your face with cold water. Cold water has a calming effect on your skin and closes the pores. Also, it removes any remaining traces of pre-shave lotions, powders or lather in the case of wet electric shaving. 17. Pat your face dry and apply a soothing, hydrating aftershave balm. Use a clean, soft towel and don’t rub it into your skin. Also, only use it on your face. Many men seem to think that electric shaving doesn’t require the use of an aftershave. And that’s a big mistake, especially in the context of preventing razor burn. I highly recommend using a moisturizing, alcohol-free, lightly-scented balm. Use it sparingly and gently massage it into the skin. A great and inexpensive option is the Proraso Sensitive After Shave Balm or the Blaviar Sigma. I personally use the last one as a daily face moisturizer as well. For a complete guide on recommended aftershave balms make sure to check out this article. 18. Avoid turtlenecks, tight collars or anything that rubs against your skin. Also, avoid warm water or touching your face right after shaving. The skin is particularly susceptible to razor burn and irritation immediately after shaving. I just purchased a Braun 5090cc a week ago after years of using the Andis t edge outliner. I’ve tried 2 older versions of the Phillip’s norelco rotary shavers and suffered from outbreaks and irritation. So far so good. I’ve also incorporated a toner and exfoliation so I’m sure this is helpful to the smooth transition. I’m an African American man and was quite skeptical of an actual shaver working on my face but if I’m not suffering after 5 days in a row, I’m not expecting problems later. Hopefully the shaver lasts me a few years to justify the cost. thank you for sharing your experience. The Series 5 is definitely suitable for blemish prone skin, so I’d say you made an excellent choice. I also prefer foil razors and used to suffer from the same issues – nasty rashes after every shave. Your 5090cc should last for a few good years with proper care and maintenance. Do you think a cleaning station gives an improvement in acne prevention over manual cleaning? I think an automated cleaning station can yield benefits only when a manual cleaning is not properly done. It doesn’t really matter how you clean an electric shaver as long as you clean it thoroughly. A clean and sanitized shaving head is particularly important in this context as all the dead skin cells and dirt form a thriving environment for bacteria. The real advantage of an automated cleaning station is convenience – you just toss the shaver into the base to have it sanitized and lubricated for the next shave. i purchased philips rotary blade shaver as my beard hairs are extra hard and my skin is sensitive at the same time. i did a bit of research before buying it as i heard foil based electric shavers are not good for extra hard hairs. is it right? further do you prefer shaving everyday or on alternative days with the electric shavers? It is generally said about rotary shavers that they’re better suited for coarse facial hair. However, I haven’t found rotary shavers to be particularly better in this regard when compared to a capable foil shaver. An entry level electric shaver will have some trouble with thick beards regardless if it’s a rotary or a foil shaver. I am pretty much in the same situation as you, having been blessed with coarse hair and sensitive skin. In my case I get consistently better results with foil shavers used every other day. Shaving is very personal and this is what works best for me. My advice is to try shaving every day for a while and see how it goes. Then you can shave every other day and see if this is any better. Shaving every other day is helpful in my case as the extra day allows my skin to heal from any potential irritation caused by a previous shave. The 9093 definitely is smoother shave and less irritation, but my shave take just as long maybe few min less or more. 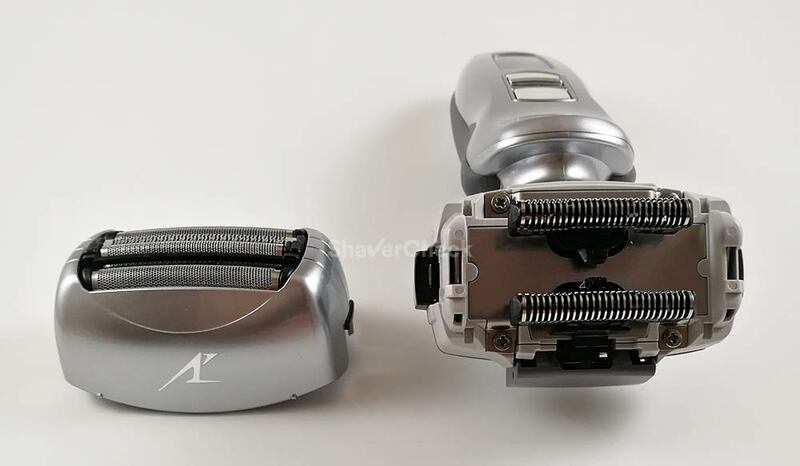 Shaver head get just as hot as old 2 which probably has to do with it have much more vibrations per sec , but the shave is much closer and much better around the neck and chin I hoping it will reduce the electric razor bumps and ingrown hair i get, but i only been using it for 2 days. Thanks for the comment. I personally never experienced any heating issues with the Series 9. The same goes for the Series 5 or 7. The 9093s doesn’t come with a cleaning station, so you must lubricate the foils and middle trimmers yourself. This can help with reducing the heat during use. Depending on where you bought your 9093s, the retail package can include a small bottle of lubricant. If yours does not, you can use a spray lubricant or any light oil like sewing machine oil. If you prefer to shave dry you can also try a pre-shave talcum or lotion/gel. This can also help with reducing the irritation and overall improving your shave. I kind prefer wet shave but by wet I mean my face is wet with maybe dove soap on my face, not with shaving cream. Due to fact I had break out with my older shavers, of razor bumps and in grown hair i had to pull out I really have avoiding shaving around those areas which usual take week or more to go away or more. the heat i feel could probably be do to fact i did tend to over same spots alot and use decent amount pressure with old shavers so probably have to train my self to stop doing that. I personally find pretty much all the long hair trimmers to be average at best, even the ones on high-end shavers, so I stopped having high expectations. If they work decently for trimming my sideburns then I’m happy. With the Series 9 I always remove the shaving head as it gets in the way and I can’t really see what I’m doing. 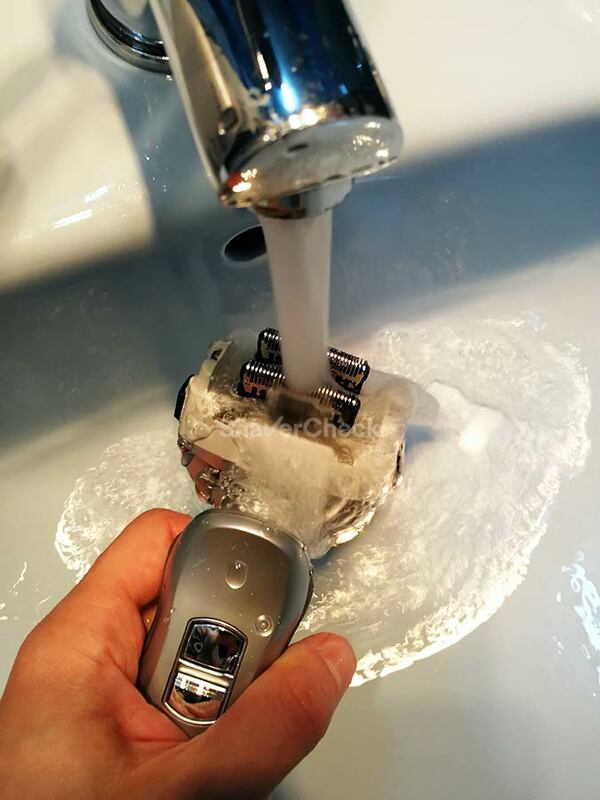 I have the same problem with Panasonic shavers and use the same workaround. You can definitely try a wet shave and see how it goes, whether it means just wetting your face or using some product. I never managed to get a decent shave in the shower or just by having my face wet. The shaver tends to hop and drag over the skin. So shaving cream/soap is a must for me. Pressing hard doesn’t help at all, so it’s a good idea to try not to do it anymore. A single drop of light oil on the cutters before your shave should help with reducing the heat as well. I just purchased a Braun 7898cc electric shaver last month and have been experiencing burns and redness in the neck area, right from the first shave. The pain is severe and lasts for 2-3 days until my next shave. The shave is also not clean around that area. I shave using a foam and clean the shaver with the cleaning station provided with the kit, after every shave. Please advise if I’m missing something here. There are a few things you need to consider: a suitable razor, proper technique and adequate complementary products (shaving cream, aftershave balm etc.). The Series 7 7898cc is actually a very good option for sensitive skin, so I’d say that you’re covered in this regard. A Braun Series 9 is gentler to the skin and more forgiving, but also significantly more expensive compared to the Series 7. It’s hard to tell if it will make a difference in your case since it’s very difficult for me to assess the cause of your discomfort and post-shave irritation. The shaver may or may not be the culprit. Shaving technique is also detrimental; make sure to only use the slightest amount of pressure and let the shaver do the work. Your strokes should be gentle, short and controlled. Shaving every two days is probably the right thing to do since your skin needs some time to heal. It’s also a good thing that you decided to use shaving cream. Try different brands as well. The ones from Proraso, Speick or Taylor of Old Bond Street are reasonably priced and perform great. Just make sure to pick the ones that are suitable for sensitive skin. Stay away from foam and gels that come in pressurized cans. You can also check out this article for more details on wet shaving. Always follow up your shave with a hydrating balm. Finally, if nothing seems to help you should see a dermatologist. In fact, I think it’s a good idea to do it anyway. I am not by any means qualified to give medical advice, so getting a professional opinion on this is highly recommended. Thank you for your comment, I really appreciate it. You are absolutely right, lubrication (and cleaning) will have a great impact on the performance and longevity of an electric shaver.